We rate summer treats well over a summer bod! 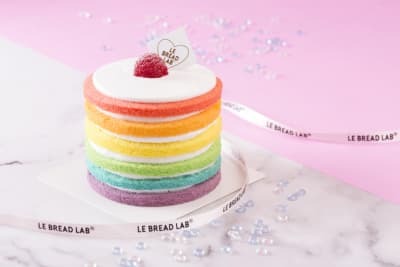 Summer is here, and these are the treats we’ll be trying in order to cool down and keep those summer vibes alive! The Butchers Club Burger is treating us to some super-tasty ice-cream sandwiches ($40) and smooth and creamy milkshakes (from $40). 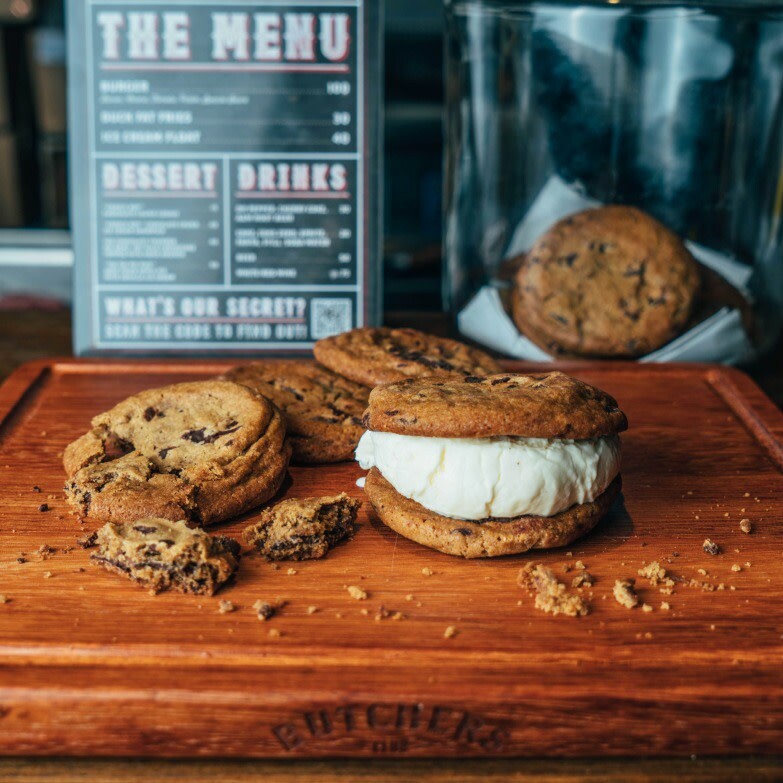 Made with homemade butter, the eatery’s signature chocolate-chip cookies might be the secret to these sarnies, with a generous scoop of vanilla ice cream sandwiched in between two cookies. This mix will send anyone drooling! For those who prefer their sweets in liquid form, milkshakes are offered in four different flavours: vanilla, salted caramel, espresso and Kentucky bourbon coffee. Now that we’re talking ice cream, let’s talk about Little Bao. 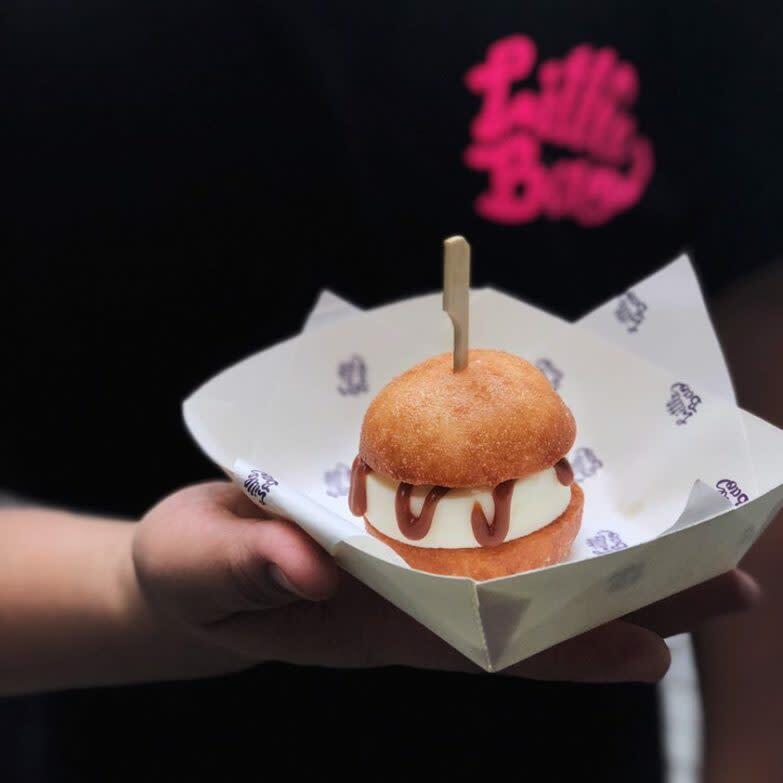 LB’s ice-cream sandwiches ($38) are frozen delights that come in deep-fried bao. Choose between green tea ice cream with condensed milk and salt ice cream with caramel (we recommend the latter as it’s not too sweet). Be sure to pack a bib because these guys are messy! Yo Mama used to be one of our favourite summer treats, but once we jumped on that ice-cream train, we found that we weren’t looking back. Since then, we’ve revisited Yo Mama and rekindled our love for froyo. We now dream about the next time we get to indulge in an original tart-flavoured froyo with a sprinkle of Oreo bits. The nice thing about treating yourself to a froyo is that it feels a bit healthier than its distant cousin. 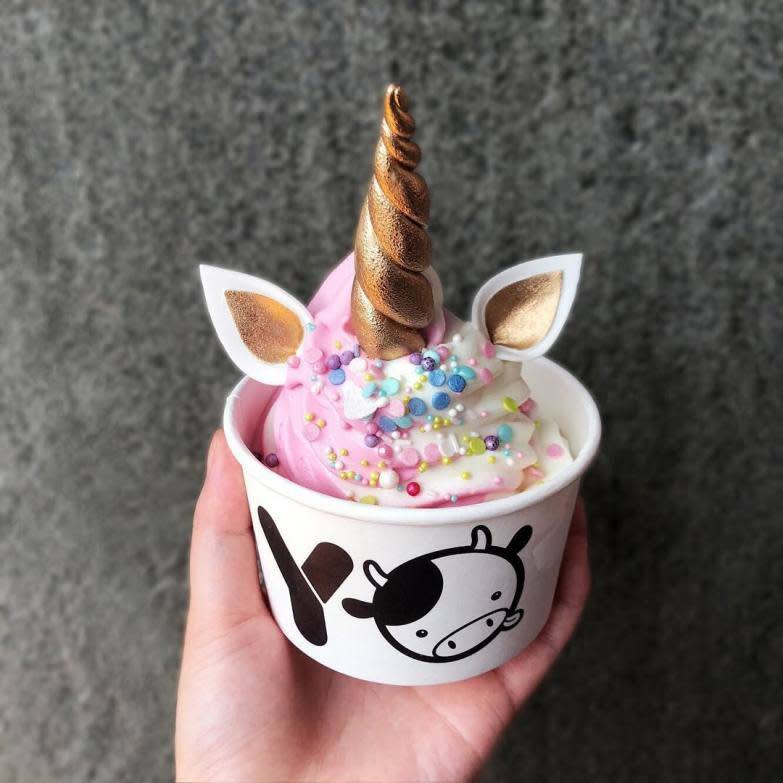 We emphasise the “feels” part of that statement because it is still a treat, but we’re not talking about healthy eats now, are we, so let’s continue. Yo Mama offers both regular and large sizes, with the regular ($39) the perfect size for a solo indulgence and the large ($46) great for sharing. 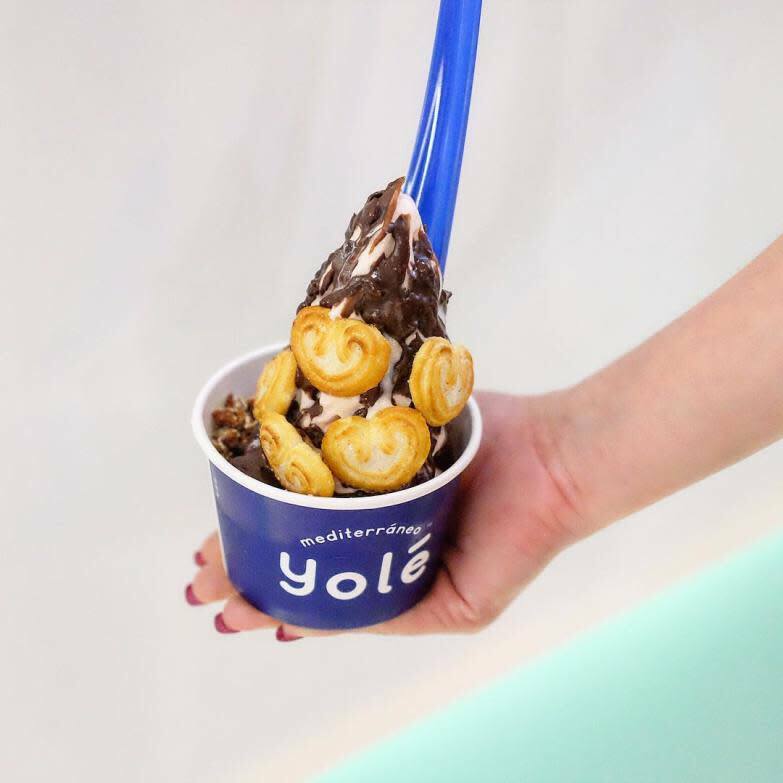 If Yo Mama is too sweet for you and you're here for an even more sour froyo, Singabore-based Yolé has got you covered. The taste of the signature natural flavour (from $23) is either loved or hated. Personally, we think it’s awesome. The extra-sour taste adds a great twang to any sweet toppings and works especially well with juicy fruit. An abundance of toppings are available, from traditional fresh fruit, to graham crackers, to a cookie-flavoured sauce. We’re spoilt for choice at Yolé, which is never a bad thing. 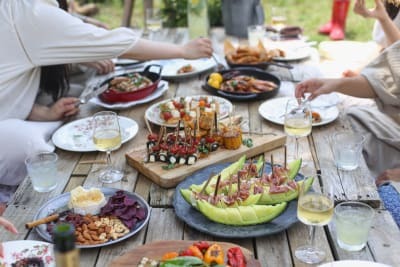 Every year, Holly Brown launches new summer treats that send us drooling. 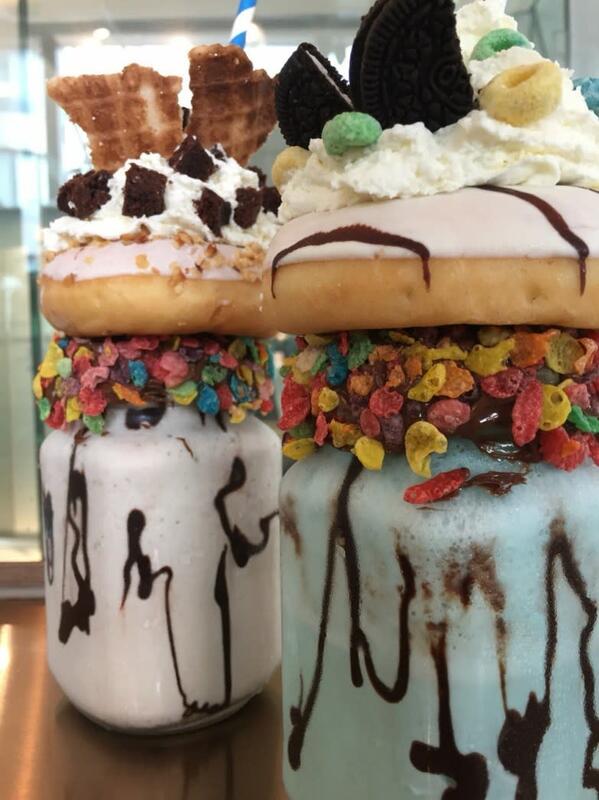 Their crazy shakes ($98) are crazy in size, flavour and just about everything in between. One of these treats is probably triple our daily sugar intake, but sometimes we’ve all got to treat ourselves to heavy amounts of cream, sugar and chocolate and then say we just did it for the ‘gram... right? Being so sweet, we’d suggest that only those with the sweetest teeth attempt this monster of a shake to really enjoy it to the fullest.